Access: On the Menu bar, click View > Volumes to open the Volumes view. The sidebar is displayed on the left of the main window. 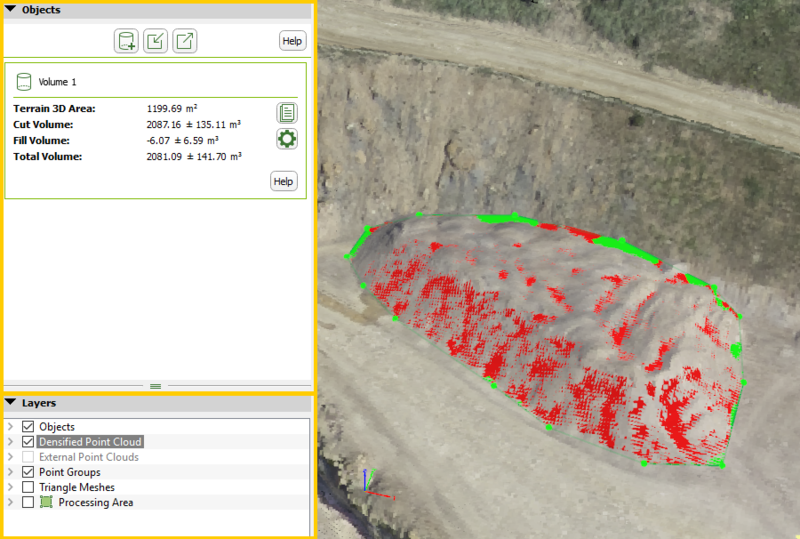 The Volumes view is available when the point cloud and the DSM are generated. Objects: This section allows to draw, import and export volumes and obtain the measures of the drawn volumes. Layers: This section groups all the objects that can be displayed on the 3D View. The sidebar can be shown / hidden by dragging and dropping the left side border of the 3D View.